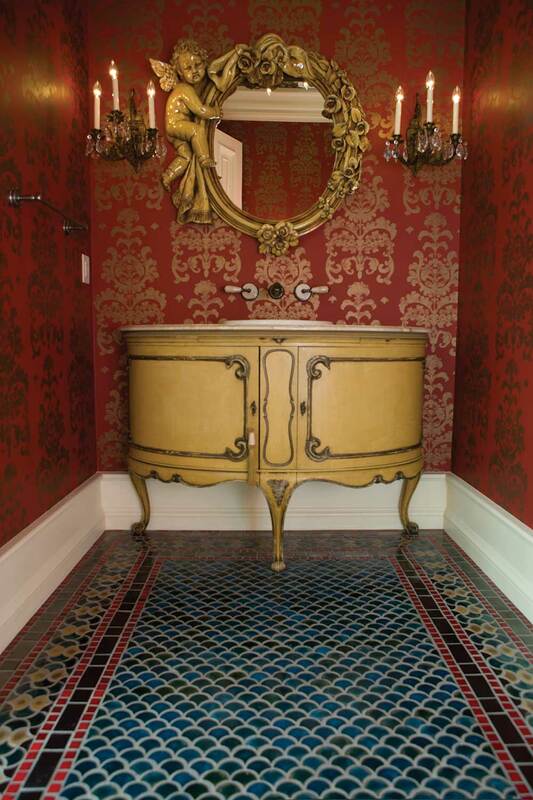 Peacock floor tiles elevate this elegant French powder room into something quite special. 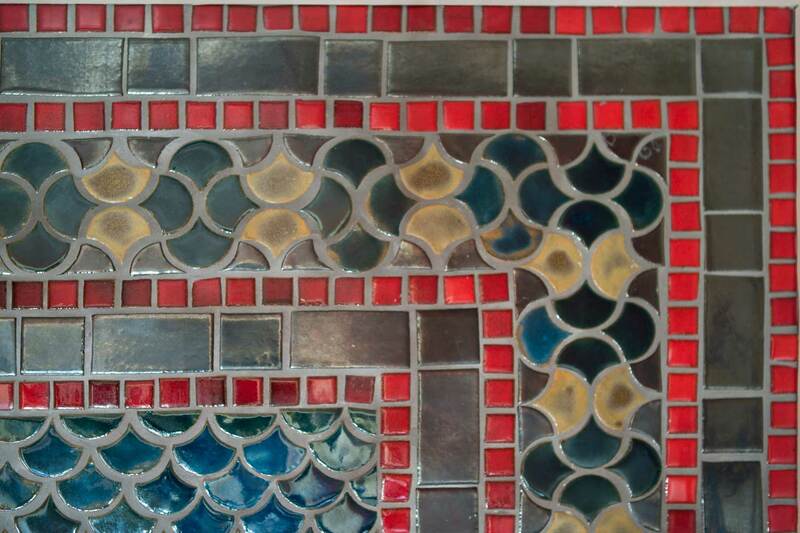 Each tile is individually shaped with a custom cookie cutter. 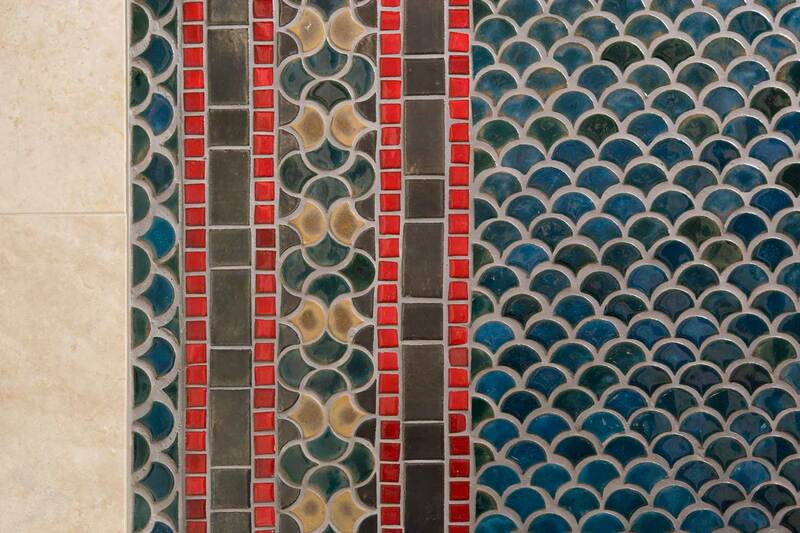 Sometimes referred to as a scallop or fish scale, peacock tiles have been used in installations for thousands of years. Chris Webber designed the pattern that was used in this installation. 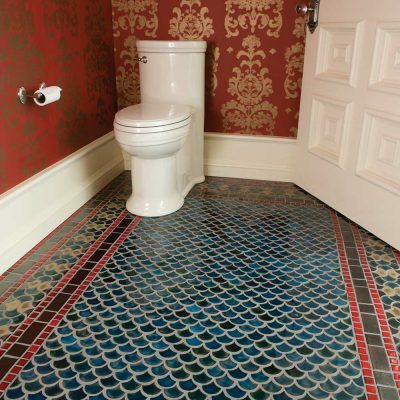 Louis Voigt the tile setter laid 3600 individual tiles by hand making this amazing powder room floor come to life. 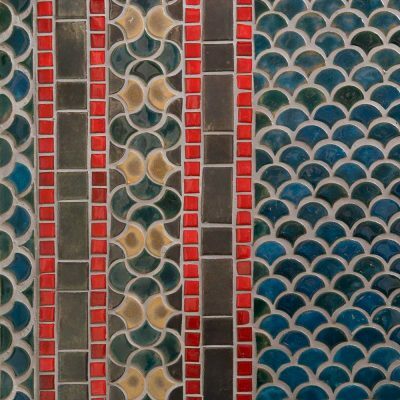 Clay 2 to Infinity works with architects, designers, contractors, and homeowners in the realm of handmade tile or “restoration” type tile. 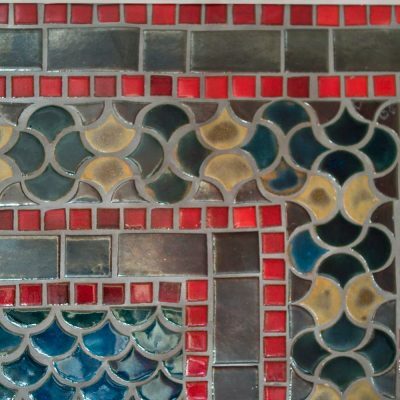 (Josh Blanc) is always striving to educate clients concerning handmade tile. 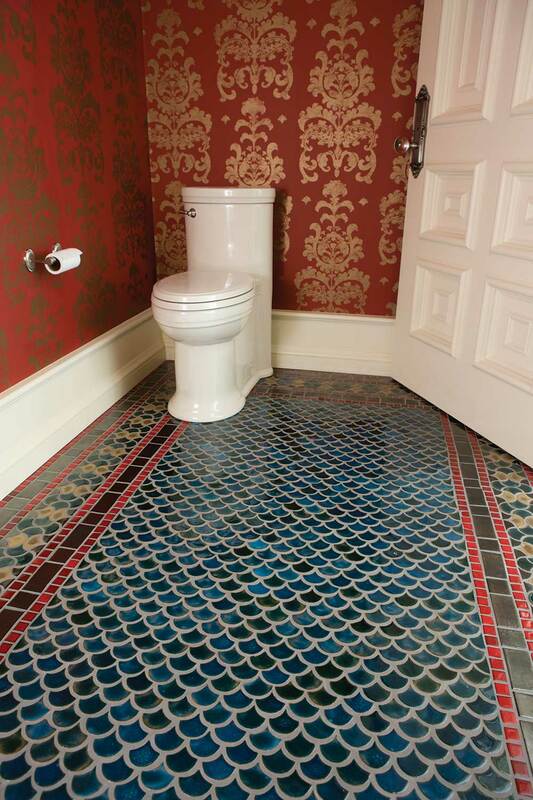 He made the tiles and they all fit without cutting… It is wonderful to have a collaboration between tile maker & installer to produce a fantastic installation.